Didn’t the apostle Paul (saint if you will) think the church had/has bigger fish to fry? Russia, neo-liberalism, social justice warriors have nothing on sin, the flesh, and the Devil. Whatever misgivings one may have about the First Vatican Council, one does not need to squint to see a providential hand in Pastor Aeternus. As secular governments continue to chip away at different forms of civil society, especially religious forms, a strong papacy can serve as a powerful counterweight. Counter-weights to secular governments chipping away at civil society? Isn’t that why we have The New York Times? All politicians should write their memoirs. After that, they should retire from the public stage beyond the occasional speech and whatever work the management of a presidential library entails. It is unhealthy for a democracy if new slots on the stage are not opened with regularity. Stroking the egos of former presidents is redundant. And, creating these personalized, secular and necessarily politicized charities will, beyond doubt, harm the brand of charity over time. When professional athletes retire, they have a long life ahead of them. But they have precedents. Color commentators. Coaches. Automobile dealerships. Not so with presidents. Where do you go after being the most powerful man in the free world? Even presiding over Harvard seems like slumming. The real problem here is not so much the foundation itself as the tone deafness of the Clintons to the suspicions of their motives. I have noted before that there is something creepy about the ethics of the Clintons, something commonly found among the do-gooders of the world. It goes like this: I am a good person, and X is not a good thing to do, yet I did it, therefore X must not be such a bad thing after all. It is true that they no doubt mix up their prideful motives with their altruistic ones. Find me the politician who doesn’t? But they take it to a level that is noxious. I think it has more to do with their former lack of wealth. Hilary had to find a law job after Bill lost the Arkansas governor in 1980. They were supposedly in serious debt. How do you rub shoulders with the rich and famous (and Yale Law alums) if you aren’t rich? Well, you speculate in real estate, you take really really big speaking fees. Once out of the White House, you form a charity like the Gates. That shows you are philanthropic and rich. But it doesn’t play well with the hillbilly/hound dog in Bill, just as Huma’s break with Anthony Weiner doesn’t make Hilary look all that virtuous for standing by her man. After attending a marriage service at a Roman Catholic parish this winter, I was surprised to learn that Christians in fellowship with the Bishop of Rome have Wesley and Watts available to them. But I can’t imagine any Roman Catholic who thinks he or she will wind up in purgatory singing “Arise, My Soul, Arise.” I know for some of the readers here, the sense of guilt and fear of condemnation that gripped Luther is not the sort of angst that full confidence in the magisterium, or papal supremacy, or 2,000 years of uncontested (really?) history yields. At the same time, sentiments like Wesley’s were the target for Trent’s condemnations of Protestant teaching on assurance. So for those Christians who put so much confidence in the papacy, what kind of hymns would they sing? How about the Pontifical Anthem? Peter, to whom the keys of the kingdom of heaven were given. O happy Rome – O noble Rome. I’ll stick with the Wesleyan. That somewhere is the Land of 2k. What does modernized Catholicism do faced with Islam and its terroristic religion of violence? Does it ask Islam to accept modernity? Does it ask it to put the person at the center in the place of God? Does it ask Islam to accept the trinomial of the Revolution, freedom-equality-fraternity? Modernized Catholicism, reinterpreted, has the audacity to expose itself, by submitting that the Catholic Church, after an erroneous refusal of 200 years, has [finally] understood how to embrace modernity, by restructuring itself into a more mature phase of religion. Consequently, the modernized Church is asking Muslims to try and take the same steps, so that they can join the assemblage of the modern religion which puts man at the centre. What will real Muslim believers understand from this invitation? They will understand that we no longer believe in God, that we have become agnostics, that the dogmas of the Masonic religion, which support the centrality of Man, have thrown out the true dogmas – the dogmas of God! The Muslims will be confirmed in their idea that the Christian West is immoral and should be opposed. Conservative Protestants know the feeling. If you asked Protestant modernists what they offer to Muslims, you’d also likely want to duck if you were the one to deliver the answer to the inquiring Muslim. But when this Roman Catholic op-ed writer says that Traditional Roman Catholicism has the right proposal for Muslims, you do wonder what he or she means by traditional. As much as Pope Benedict XVI might have proposed reason instead of power, plenty of popes well before Benedict showed muscle rather than intellect to Muslim infidels — think Crusades and Inquisition. In which case, the alternative to a modernist Islam is a spiritual Islam — one that regards the spiritual as more important than the temporal. The papacy may have learned this lesson the hard way after 1870 when the pope lost his temporal estates. Even so, between 1870 and 1962, the papacy did seem to know implicitly that its power was spiritual not temporal, and it still ran a conservative church with lots of condemnations of departures from the truth. 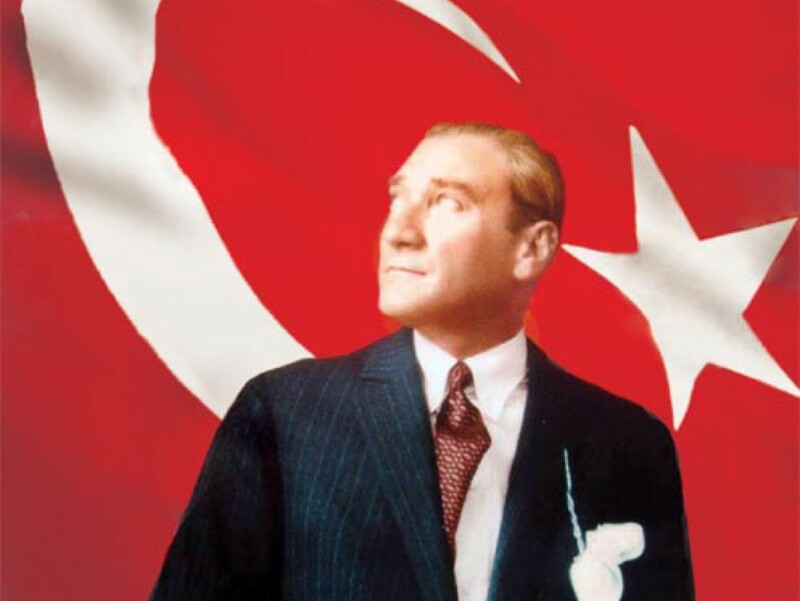 The Turkish Republic may have also taught Islam a similar lesson when it abolished the caliphate and turned the nation’s mosques into centers of religious as opposed to political life. The really funny thing may be the recognition that confessional Presbyterian communions like the OPC get courted by neither Republicans nor Democrats. Part of that owes to the fact that Orthodox Presbyterians do not inhabit a Congressional District. But it also has to do with the doctrine of the spirituality of the church (still disputed in OPC circles, mind you). If the church is a spiritual institution with spiritual means for spiritual ends, and if the temporal matters of this life are just that — temporal — fading away in comparison to what is coming on That Great (not Pretty Good) Day, then the best alternative to either a sword-wielding pope or caliphate, or a pandering set of pastors or bishops, is a spiritual church. That means, a group of believers who worship together each week under a ministry reformed according to the word of God and who know that in the light of eternity political parties, geographical territories, and military conflicts don’t matter. Unless the local priest can be just like Jesus Francis, why bother? Why not go to church with the flabby evangelicals? After a television interview, I was talking with a young producer who told me of her experience. She had been raised Catholic, but stopped going to church in college. Now she is engaged and was encouraged by her fiancé and Francis to give the church another try. After going to church a few times, she felt called to go to the sacrament of reconciliation. It was a disaster. The priest yelled at her and told her that everything bad that had happened to her was because she had not gone to confession in 10 years. There will be no “Francis effect” if when people return to the church they do not meet someone like Francis at their parish. Going to confession today is like playing Russian roulette. You don’t know whether you will meet the compassionate Jesus or some angry, judgmental crank who thinks it is his job to tell people how bad they are. This is a form of abuse about which the church has done nothing. Nor should we limit our focus to the clergy. Parish staff can be tempted to clericalism, and parish communities can ignore new parishioners who can feel lost in a crowd of people. Try this experiment. Go to a Catholic church you have never attended and see how long it takes before someone initiates a conversation with you. Then go to an Evangelical church and try the same experiment. The Evangelicals will win every time. Papal audacity only goes so far (sort of like wishing after hearing White Horse Inn that Mike Horton and Kim Riddlebarger could be your pastors). Where Would Christian Europe be without the Emperor? Thanks to Charlemagne’s attentions, the papacy was enriched, visited, courted and paid enormous respect, but all these gains came with a price tag. The emperor’s respect for the papacy was genuine, but he was equally convinced. . . that he had his own hotline to the Almighty. No mere vassal of St. Peter, he had no hesitation in making use of the papacy for his own purposes . . . for this too was God’s will. Nor was Charlemagne afraid actually to disagree with the Pope — even on matters of doctrine. The example par excellence is the Council of Frankfurt. There and to the Pope’s face (at least, to those of his legates) Charlemagne had his churchmen declare that Pope Hadrian’s acceptance of Constantinople’s new teaching on icons was in fact mistaken. A second, less charged example is provided by the famous filioque clause. . . . So much for that audacious papacy. Turns out the Pope would not have been the official he turned out to be without the audacity of the emperor. In fact, transformers of culture, Roman Catholic or Protestant, will never see their hopes for a Christian society realized until the ruler embraces the faith and enforces it. Not even Boniface VIII in all his pomp and show could make Europe Christian. It took emperors, kings, princes, and magistrates. The root of the hatred was not dogma but the church’s role as a “political institution.” Because of the church’s role in the old society, it too had to be “dashed to pieces” to make way for the new society. Rome had been overreaching for some time and no matter how Brad Gregory romanticized the medieval world, a plausible reading of the West is that if the Vatican had not been so caught up in its own prerogatives — spiritual and temporal, the Reformation and Enlightenment may have had different outcomes. He finds the same pattern everywhere: “There is scarcely a Christian church anywhere in Europe that has not undergone a revival since the French Revolution,” and this, prescient as ever, he thinks is due to the compatibility of democracy with Christianity and Catholicism. Well, popes from Pius IX to Pius XII didn’t get the memo about democracy and Roman Catholicism. But that aside notwithstanding, the French Republic overreached against the overreach of the church and crown (the French monarchs made the English kings and queens look like pikers). People don’t like to be coerced, whether by the church or the state. And the reason for the American people’s support for gay marriage, I believe, has less to do with rational public policy or fairness and more with pushing back the “family values” that religious conservatives incautiously pushed for three decades. At the same time, if this push back pushes too hard (which it may be doing between the Affordable Care Act and Duck Dynasty), Americans will find their underdog inner selves and rally to beleaguered religious conservatives.